Under Construction, custom Victorian design home located in Historic Kenwood. This 4 bedroom 3 1/2 bath 2 car garage home welcomes you to call it home. This stunning home offers a double balcony, rear entry garage and a upstairs separate Apartment. The imported shadow wood tile flow throughout the main floor of the living, dining and kitchen. The heart of the home is the gourmet kitchen any chef can appreciate! Cortz counters, stainless steel appliances, butlers counter and wine rack. All bedrooms, laundry room and apartment are located upstairs. Owner's suite is abundant in space, large walk in closet and private balcony. 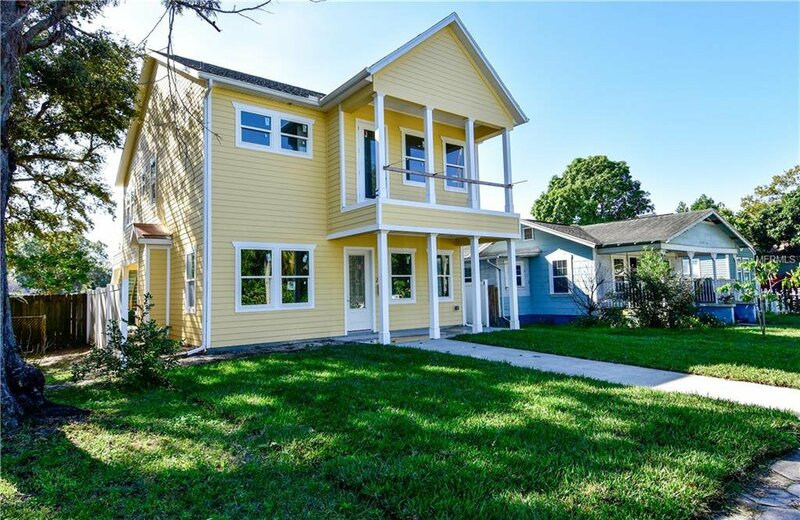 Minutes from Downtown St. Pete, Beach drive, The Dali Museum,Fort De Soto Park, Fine dining and so much more! Listing courtesy of DANEEL BURKE REALTY INC..